The 53rd event of the 2010 World Series of Poker, the $1,500 Limit Shootout tournament, has come to an end with Brendan Taylor emerging victorious. Three days ago the tournament started with 548 competitors who played down to 64. From there, the field was whittled down to just eight. Anticipation for the final table was centered on two individuals, Jonathan Little and Terrence Chan. 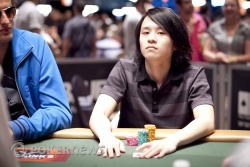 Chan, who is considered one of the best limit players in the game, was the first to go. Little managed to do a little better by finishing third. No one could have predicted what was discovered next. It turned out the final two players, Taylor and Ben Yu, were in fact housemates here in Vegas. The rail was filled with their supporters who couldn't believe the pair was going to battle heads up for a gold bracelet. Taylor started heads up with a commanding chip lead and the first hand between the two was symbolic that the title was meant for Taylor. In that hand, the board had three aces and Taylor put out a bet. Yu called and was crippled when Taylor showed the fourth ace. It was just a few hands later that Taylor finished the job and captured his first WSOP gold bracelet along with the $184,950 first place prize. Congratulations to Brendan Taylor, Event #53 Champion! At the end, it seemed only fitting that on the first hand that Ben Yu got it in good heads-up, he would lose the pot. After a few raises, Yu was all in pre-flop for 235,000. Brendan Taylor called and tabled , a hand behind Yu's . This time, however, it was Taylor who paired on the flop, . Yu needed a nine or runners to stay alive, but the turn and river were both fours, and , to send Yu crashing out of the tournament in second place. He'll leave with $114,484. No doubt he's disappointed he didn't win, but he can take some measure of happiness from the fact that roommate Brendan Taylor was the winner. There was not as much drama for Ben Yu's second double-up. He got it all in pre-flop with against Brendan Taylor's . Yu paired nines on the flop, , then survived a sweat when the turn came and river blanked . Yu now has 280,000. There was about 550,000 in the pot with a board when Brendan Taylor bet. Yu made the call, leaving himself only 60,000, and mucked when he saw Taylor's . The very next hand, Yu was all in in the dark and Taylor called in the dark. The flop was no help to Yu when it came . The on the turn gave Yu some chop outs but it was the on the river that gave him a small double up. 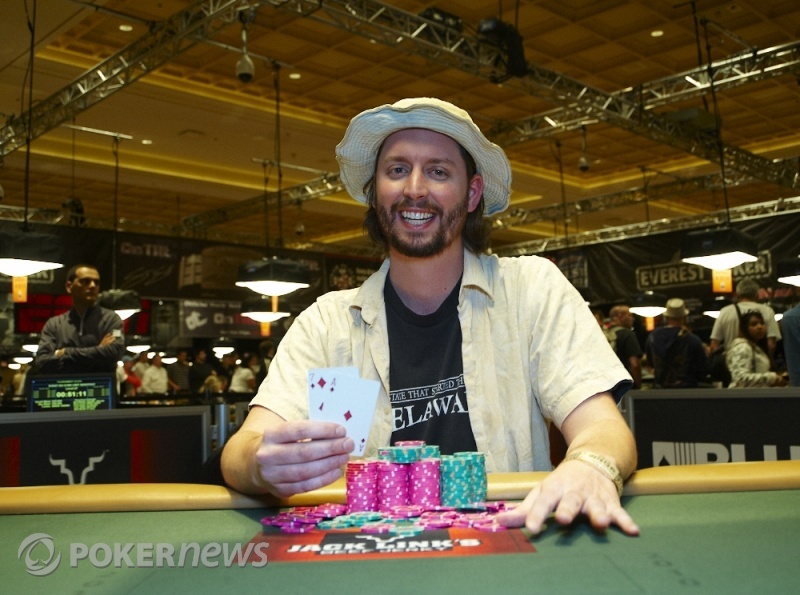 The second heads-up pot went much like the first -- with a showdown going to Brendan Taylor. Taylor opened with a raise pre-flop that Ben Yu called. Yu checked and called one bet on a board of . Yu called to the turn, which both players checked. When the river fell and Yu checked again, Taylor tried a bet. Yu called, but couldn't beat Taylor's pair of queens, . The first hand of heads up play saw a board of . Brendan Taylor checked and Ben Yu bet. Taylor raised and Yu made the call. "Nuts," Taylor said as he turned over . Yu was left with 650,000 after the hand.